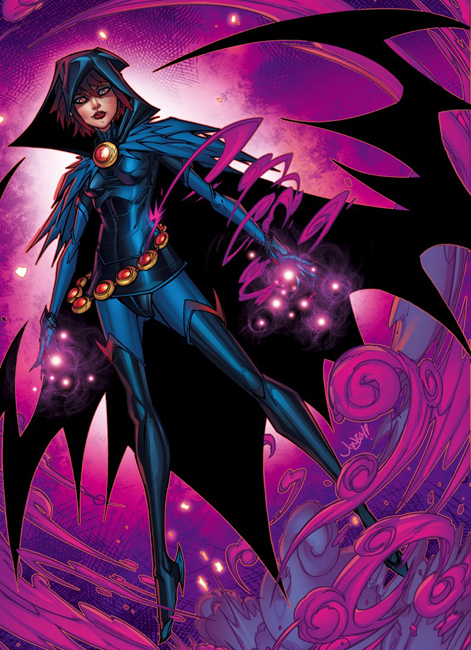 What do you think of Raven's Rebirth design? "Dislike". 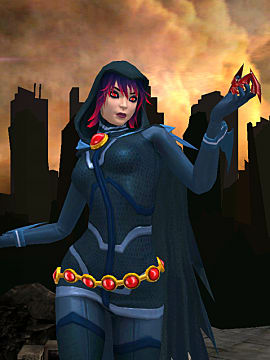 While it could be a decent costume for introducing a new character, it's just not Raven in any way, shape, or form. 4: I actually like this new costume of hers, though I think this is a poor rendition of it. It's essentially just a more developed version of her original look, keeping the hood and cloak and adding covering for her exposed skin. The red hair seems rather off, though. Went with a mild Like. This render (and most of the actual comic art) actually tones down some of the more frustrating aspects of the costume, such as the excess of random detail (you can see it more in her Injustice Mobile model) but I do like elements such as the hair. I don't know why, I just feel like it makes the costume "pop" more. I actually adapted a version of this for the DCUG, if I remember correctly. That is a much better interpenetration than the one posted here. Oops! I just noticed the heels on that thing; they're just plain awful. This was a tough one. I really want to like this one, but it doesn't really come together. Raven is a character that I really want to see a cool new modern look for, and there's elements I like here. The feathery part of the cape is a decent idea, the chest gem and belt are fine. I really like the hair. It's not apparent in this image but the red is just on the tips of the bangs, and it gives Raven a nice goth style that makes her look unique. On the negative side most artists don't seems to draw this well. I just finished the first trade paperback for Rebirth Titans and the third artist on that book really struggled with this design. There's a few "extreme" elements that feel totally out of place like the claws and heels. The red tipped hair doesn't seem to go with the hood or it might just be tripping artists up. I gave it a Meh.